We didn’t quite see it coming. 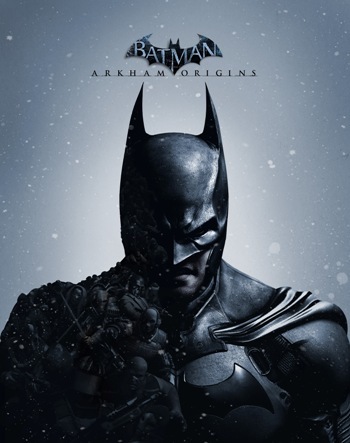 Batman: Arkham Origins has knocked GTA V off the top spot in this week’s UK chart. Perhaps everyone in the world already owns a copy of Rockstar’s car theft simulator. That’s an impressive chart entry for a game that got mixed reviews, with publishers Warner Bros. putting an embargo on reviews until launch day. Clearly, enough people just went out and bought it anyway. Other new entries include Ubisoft’s Rocksmith 2014 Edition at #15 and Activision’s mildly offensive Teenage Mutant Ninja Turtles entering at #27 – Matt wasn’t a fan. 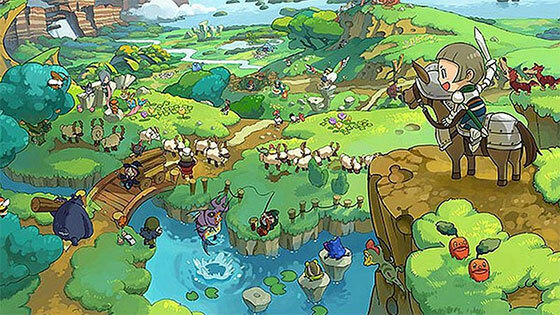 The rest of the chart remains more or less unchanged from previous weeks, with GTA V falling to #2, above FIFA 14, Skylanders: Swap Force and Pokemon X and Y.
Nintendo’s The Legend Of Zelda: The Wind Waker HD falls from #16 to #28, suggesting that people don’t know a good thing when they see it, or whilst Zelda has enough pull for fans of the series, the general public are fickle, Link hating bastards. Curiously Lego The Lord Of The Rings has jumped up the charts from #19 to #8, which might have something to do with it being bundled with the Nintendo 2DS in an Argos deal. With Assassin’s Creed IV and Battlefield 4 both out this week, it looks like there’ll be a fight for the top spot in next week’s chart. This week sees the release of a hotly anticipated bat-based sequel that has so far remained hidden in the shadows, muttering quietly in an oddly deep voice. Eager guitarists might be pleased to see Rocksmith 2014 Edition this week, which lets you plug a real guitar into your console and attempt to play various songs. Muse’s Knights of Cydonia is on the track listing, so, that’ll be useful if you want to learn how to play that on guitar instead of Muse’s better, earlier work. Wii owners rejoice, as this week sees the release of Wii Party U, which oddly enough Nintendo are charging money for, but it does come with a Wii Remote Plus, which sort of justifies the price tag. If you like turtles, specifically teenage ones with martial arts skills, then you’ll be pleased to know Teenage Mutant Ninja Turtles is also out this week, on Xbox 360, Wii and 3DS. Who doesn’t like heroes in a half shell? Remember when rally driving games were great, back in the ’90s? Sega Rally and Colin McRae. Ahh, those were the days. The PS2 even saw some great WRC games from DriveClub developers Evolution Studios. 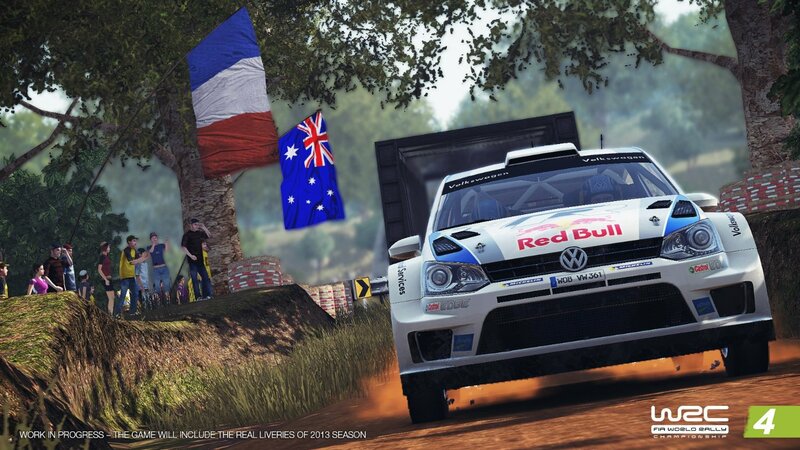 Sadly, WRC 4: World Rally Championship is from a different developer entirely, and whilst reasonably serviceable as a rallying game, it’s no Colin McRae. But Xbox 360, PS3, Vita and PC owners can enjoy it this week – hurrah! Naruto Ultimate Ninja Storm 3: Full Burst is also a game, that some people who own an Xbox 360 or PS3 might buy. Then there’s Deus Ex: Human Revolution – Director’s Cut, for Xbox 360, PS3 and Wii U owners who want to play a slightly updated version of a two year old game. 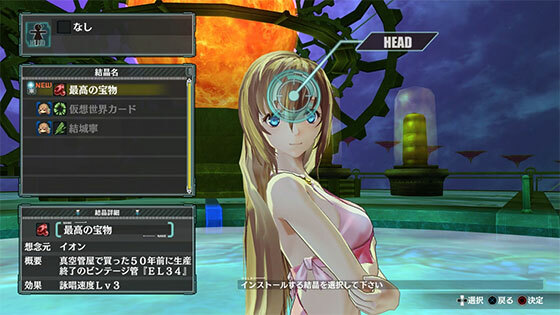 Nippon Ichi fans finally get to play with The Guided Fate Paradox on PS3. It came out in Japan back in January, and like most Nippon Ichi games, it’s a quirky dungeon crawler. Metacritic gives it a score of 76% – which kind of sounds about right. 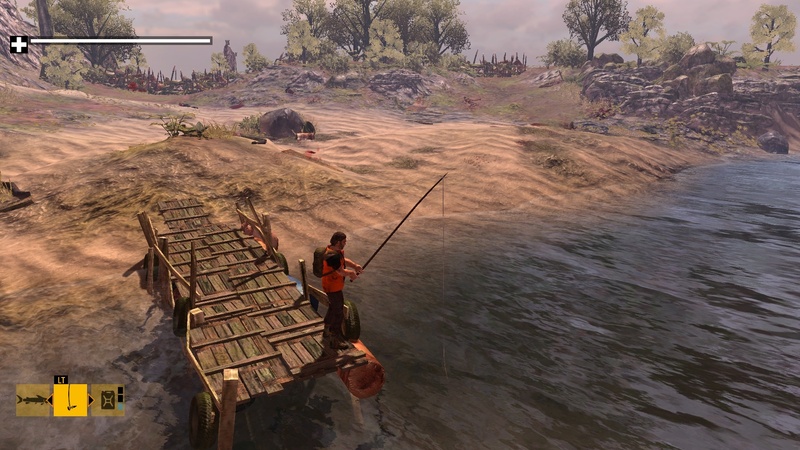 On the digital download front, there’s zombie island survival simulator How To Survive for Xbox 360, PS3 and PC. If your idea of dream holiday involves being stranded on a zombie infested island, finding shelter, building makeshift weapons and running away from zombie hordes, this could be just your kind of game. It’s a bit like State of Decay, which was excellent, so we have high hopes for this one. Then there are some other titles you really shouldn’t care about, such as Just Dance Kids 2014, Brain Training 3D and Beyblade: Evolution. There may have been others we missed. Don’t worry about those though. Why would you want to buy those games? Next week, Assassin’s Creed IV: Black Flag brings us pirate themed assassination, EA release a very big first person shooter known as Battlefield 4, whilst wrestling fans will get to play with WWE 2K14. There may be other games too. Those who have been waiting patiently for a major Wii release will be rejoicing this week – Xenoblade Chronicles is here. Very few bad things have been said about this JRPG, with the likes of Eurogamer dishing out a 9 while NGamer Magazine awarded it their highest score of the year so far – a handsome 93%. Unless Tesco have put the incorrect picture up, it’s only £31.97 on their site with the classic red controller. Don’t blame us though if they’ve cocked that up. Arcana Heart 3 on Xbox 360 and PlayStation 3 is another that comes in a limited edition pack. This is no RPG however – it’s a 2D brawler much like Blazblue. Review copies were sent out to the press in good time – most of the magazines reviewed it last month with universal opinion being that it’s not too shabby at all. Super sequel Toy Soldiers: Cold War on Xbox Live Arcade is one to consider downloading. It doesn’t quite manage to stand up to the impressive original, mostly because the developers haven’t been able to find the right mixture of strategy and action this time round, but word has it the co-op mode is enjoyable and the mini-games are fun. You know what’s coming next, don’t you? It’s time for a round-up of the seemingly random DS games hitting shelves this week. You’ve got a combination of Avanquest Software and Easy Interactive to thank (or blame) for Farm Frenzy 3, Mechanic Master 2, Youda Legend: Amsterdam Diamond and Timmy Time. Then on Wii there’s Country Dance from Funbox Media. Believe it or not, it has been developed by the guys that brought us The Conduit. They must be gagging for work. Next week: Deus Ex: Human Revolution (PS3, 360, PC), Inazuma Eleven (DS), Pac-Man and Galaga: Dimensions (3DS), Rugby World Cup 2011 (PS3, 360), Summer Challenge (PS3, 360, Wii, PC), The Lost Treasures of Alexandria (DS) and Jewel Quest IV (DS). You don’t need me to tell you that Pheasants Forever is a hunting game. And as you may have guessed, it’s for Wii. But what a strange name to call a game – if people hunted pheasants forever then there will be none left. I suppose though they couldn’t have called it Pheasant Slaughter Sim. If it’s any better than Duck Hunt on the NES I will be very surprised, and if review copies have been sent to press I’d be even more so. 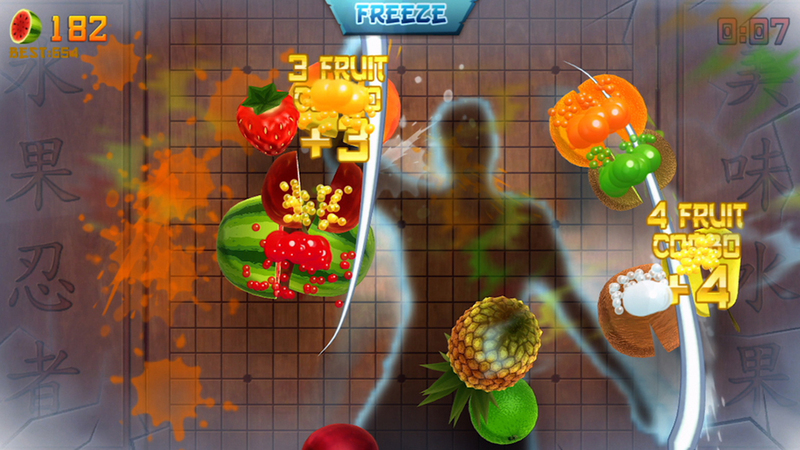 If you feel that fruit needs to be punished rather than pheasants, there’s Fruit Ninja Kinect on Xbox Live Arcade. It got an 8/10 in 360 Gamer magazine – “It is what it is” they said. A simple game done well, in other words. It’s a greatly improved version, or rather a totally new version, of the popular iOS game. If you can wait a while it’s also going to be bundled on the same disk as The Gunstringer, which was once due on Xbox Live Arcade but is now a retail release. As per the usual, there are a couple of seemingly random DS games out this week too. Mystery Tales Part 2 and 7 Wonders: Treasures of Seven, to be precise. We all remember the classic that was the original Mystery Tales, don’t we? Yep. 7 Wonders: Treasures of Seven appears to be the sequel to 7 Wonders II but by going by the boxart and product descriptions the differences between the two sound rather minimal. Next week: Xenoblade Chronicles (Wii), Toy Soldiers: Cold War (XBLA), Arcana Heart 3 (PS3, 360), Country Dance (Wii), Farm Frenzy 3 (DS), Timmy Time (DS) and Youda Legend: Amsterdam Diamond (DS). If you thought last week was bad for new releases – with just three titles hitting shop shelves – then get a load of this week. 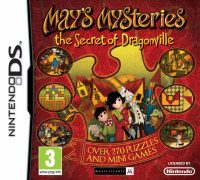 There’s just one game out, and that’s the largely unknown May’s Mysteries: The Secret of Dragonville on DS. 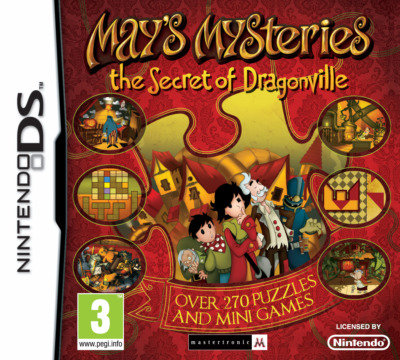 The promotional video on YouTube suggests that it has much in common with the Professor Layton series, only from the looks of things the majority of puzzles take the form of those absurdly popular hidden object games. In the world of downloads there’s Insanely Twisted Shadow Planet – the latest instalment of Microsoft’s Summer of Arcade promotion. Our Twitter followers have had plenty of good things to say about it, so it was a bit of a surprise when the usually reliable Eurogamer dished out a 6/10. Probably best to download the demo and make up your own mind. The above may only be exclusive to Xbox 360, but Brink’s add-on pack Agents of Change is available on Xbox 360, PSN and Steam. What’s more is that it’s free for the next two weeks as the developer’s way of saying sorry for server issues during the game’s launch. It doesn’t sound like a bad package – two new maps, five additional abilities, two new weapon attachments and two new outfits. That’s as well as a fresh bunch of achievements/trophies to unlock and the chance to get your character up from level 20 to 24. You can read what we thought of Brink here. Next week: Fruit Ninja Kinect (XBLA), Pheasants Forever (Wii), Mystery Tales Part 2 (DS), 7 Wonders: Treasures of Seven (DS). Curb your enthusiasm – you can count this week’s new releases using both of your thumbs. Air Conflicts – Secret Wars (out on Xbox 360, PS3 and PC) is compatible with 3D TVs and has online play for up to eight other aviators. There’s a bit more information on the publisher’s site if you’re curious but it’s probably best to wait for reviews to appear before taking the plunge. Then we have Hidden Mysteries: Vampire Secrets on DS, which is the 758th hidden object game to be released on the system this year. These things must be incredibly cheap and simple to create. A few static backgrounds with some sprites scattered around, a bit of simple code running behind the scenes and voila – one new game to shove out. The DS deserves better, frankly. Next week: Captain America: Super Soldier, Earth Defence Force: Insect Armageddon, Harry Potter and the Deathly Hallows – Part 2, Dream Trigger 3D and Just Dance 2 – Extra Songs.